Encompassing one square block in Lower Manhattan, this plaza and tower face Zuccotti Park, two blocks east of the World Trade Center. The site was designed by Skidmore, Owings & Merrill between 1960 and 1964 as an open plaza surrounding a 51-story skyscraper with a shell comprising a matte-black-aluminum frame and glass. One of the first projects to conform to the 1961 Zoning Resolution that incentivized developers to incorporate public plazas into their office building plans, the tower has a trapezoidal footprint that covers approximately 40 percent of the property, with the remainder of the block designated as privately owned public space (POPS). The Modernist tower is a uniform slab with no setbacks and little ornamentation, surrounded on three sides by a 25- to 30-foot-wide sidewalk, which extends into an 80-foot-wide open plaza on the Broadway-facing side. The intended plaza design is a simple, stark plane composed of travertine pavers that extend to the curb, with few furnishings and devoid of street trees. 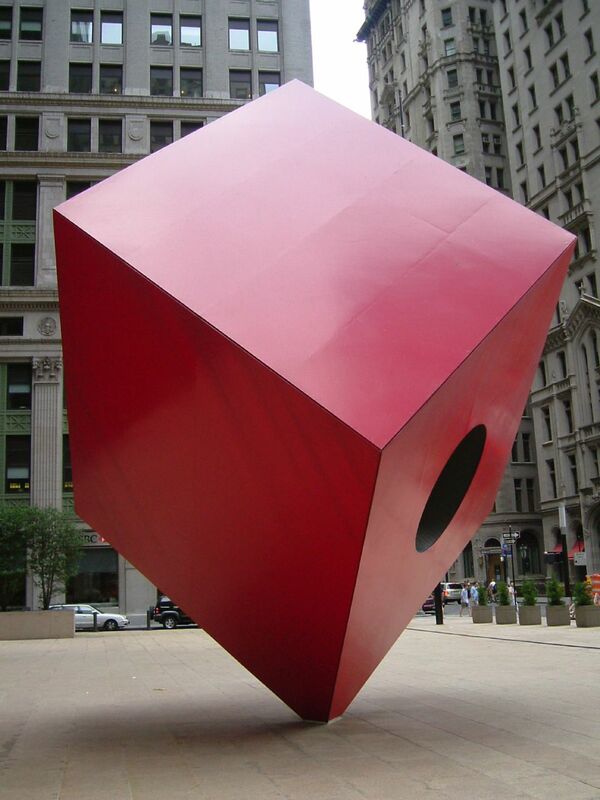 The one major interruption to the otherwise pristine plaza is the Red Cube, a steel-and-aluminum painted vermillion cube by Japanese-American artist Isamu Noguchi. 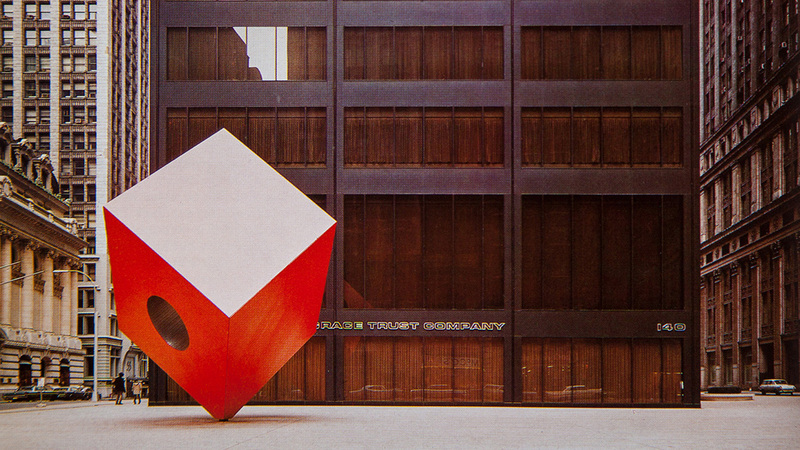 Installed in 1968 on the Liberty Street side of the plaza, the 28-foot-tall sculpture teeters on one edge. A circular hole punctures the center of the cube on its west face, inviting passersby to look up through it to the tower beyond. In 2000 alterations were made to Cedar Street, including the addition of black granite benches, four raised linear granite planters, concrete sidewalk paving, and a black granite slab with gold lettering in memory of real estate mogul Harry Helmsley. Citi Bike racks were installed along Liberty Street in 2013, the same year that the building was designated a New York City Landmark.